Weapons include Ant-Man's Shrink Gun and Ghost's 2 Power Blasts. Accessory elements include a gold-colored trophy and The Wasp's wings. This small set, which includes the vehicle that plays a pivotal part in an incredible adventure, is the only one scheduled for this Marvel Studios movie so if you're a fan you might want to grab one now. 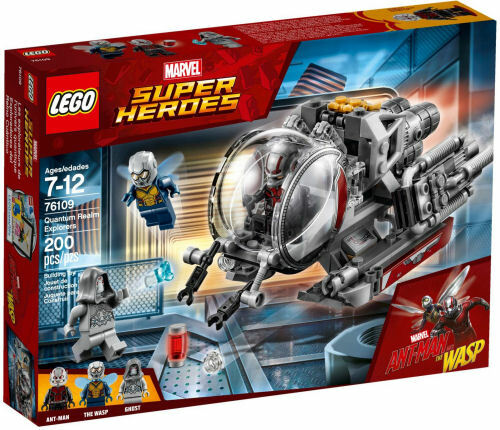 Don't forget that the rest of the Marvel superheroes line - which includes franchises like Guardians of the Galaxy, Thor, Doctor Strange, Iron Man, Black Panther and Spiderman - are also available from LEGO.